In today’s world automatic payments are pretty normal. A large majority of people use them in some way, whether to pay off small bills like Netflix or Hulu or for more vital payments like rent or utilities. Most people use their bank account to do this, but more and more people are choosing to take advantage of automatic bill pay through credit cards. With credit card automatic payments becoming more normal, many people are asking themselves, “Should I use my credit card to make my monthly payments?” The bad thing is, the answer is rarely understood. There is a great thing about having automatic payments. It’s easy, and it can save you time and money. Automatic payments mean you don’t have to worry about late fees, spend money on postage, or keep track of the due date each month. Automatic payments become very simple and convenient. With your credit cards, one gets the perk of being able to rack up rewards and building bonus points. If you pay them off in full every month, then everything is fine. Unfortunately, many people do not pay their credit cards off each month and the balance revolves to the next month. The interest and any fees build up and before you know it, the credit card bill has spun out of control. It’s best to look at all services that are being charged on a credit card. There could be a service that hasn’t been used in quite some time. The services that haven’t been used can be easily forgotten about when it’s set for autopay. Some automatic payments can be difficult to stop. If you decide it isn’t working out for you or even simply want to change cards, you may find yourself struggling to cancel the charge with your company. This time and effort you spend stopping automatic payments can be a real hassle down the road, one that you don’t expect to experience. Automatic payments still have a margin of error. Some people find themselves stuck with late fees because of a glitch in the automatic payments that went undiscovered when they took the payment for granted. 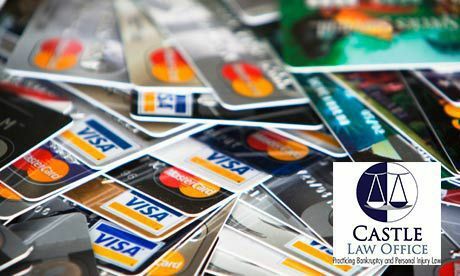 If you find yourself getting into trouble with your credit card debt, contact Castle Law Office to help you with your Chapter 7 or Chapter 13 Bankruptcy options. Call us today at 816-842-6200 to speak with an attorney. Or you can email us and schedule your free consultation.